I can't believe that it's time for another monthly favourites post, this years going pretty quickly. Well I'm sure you've read enough of my rambling attempt at an introduction, here's what products/items I was loving throughout February. First up is this Primark statement necklace,which I bought last year (I believe it only cost me around £4 too..bargain!) I'm surprised that I haven't featured this necklace in a previous favourites post as I've worn it quite a lot. It's such a lovely, versatile piece and can really add that extra something to an outfit. I purcased the Rimmel Scandaleyes Shadow Stick in the shade 'Bluffing' back in January and I've been using it ever since. It's a very pretty shimmery neutral colour which doesn't require much effort to apply - making it perfect for those early mornings. 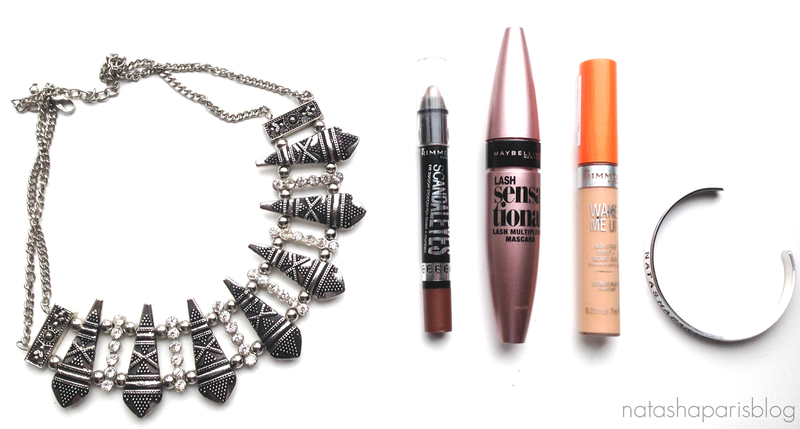 The final make-up product which has made the cut into my February favourites is the Rimmel Wake Me Up Concealer in 'Soft Beige'. The concealer is a full coverage concealer which I've been using it to cover up troublesome spots and blemishes. As the concealer has anti fatigue properties it's also good for using under the eyes, however I prefer to use YSL Touche Éclat to highlight my under eye area. 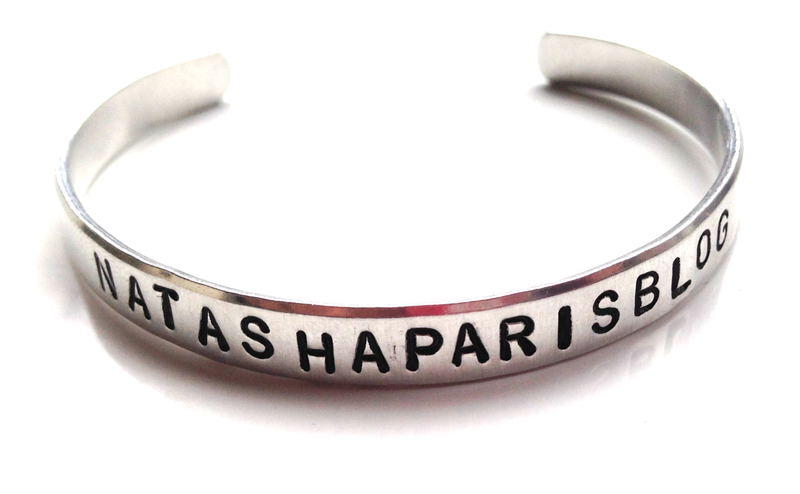 Last but not least is my personalised bangle which I bought on sale for £6.00 (RRP £12.00) from Cherry Diva. It's a lovely simple piece which I've been wearing on an everyday basis. I've included a close up picture of the bangle above as I don't think the first picture does it any justice.